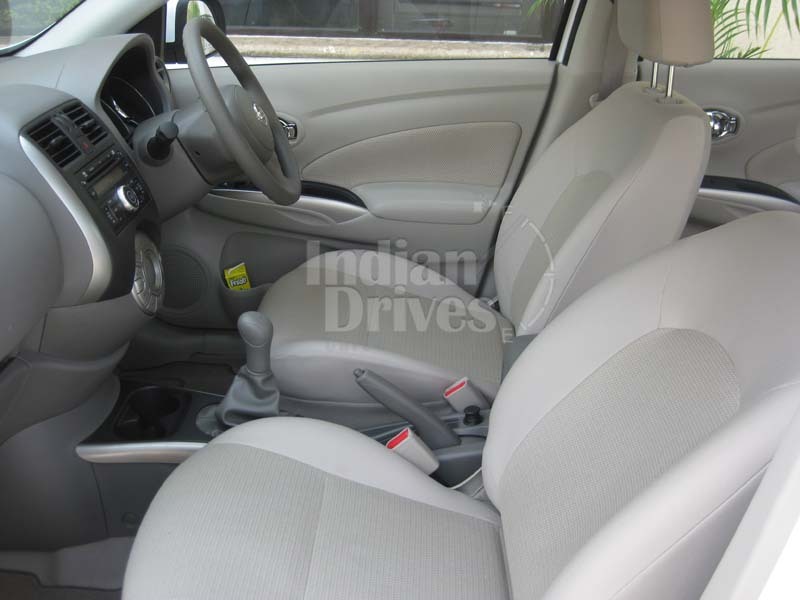 The Nissan Sunny Petrol variant has already won appreciation in the automobile fraternity. 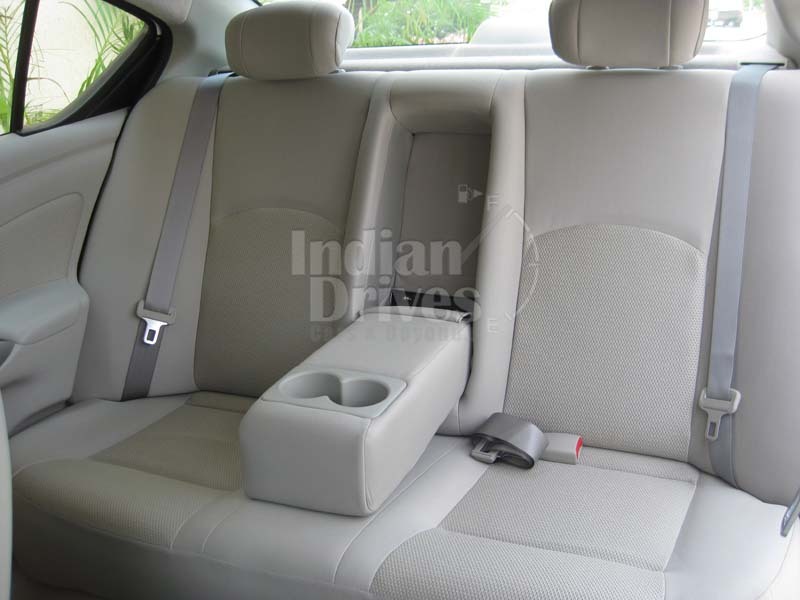 Features like the ratio of size to price, excellent legroom at the rear and its commendable performance have increased mass appeal of this car. 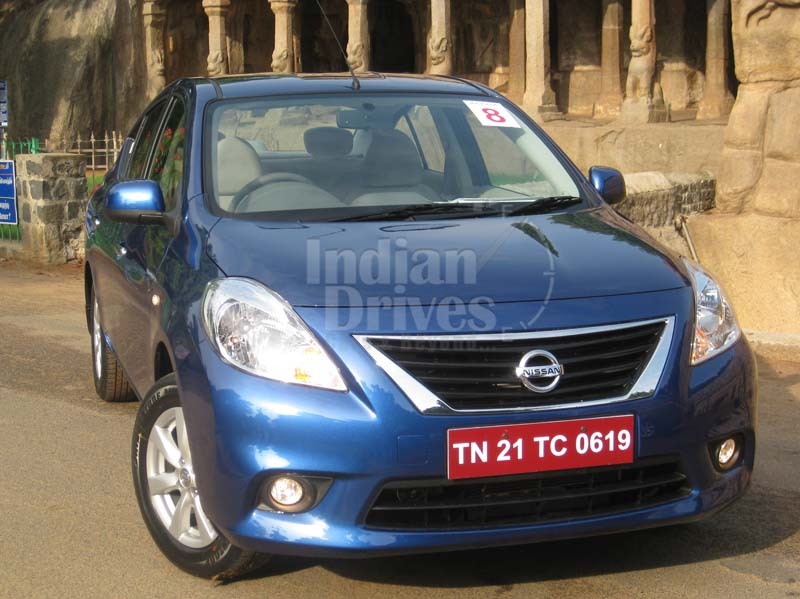 The Nissan Sunny now comes in diesel variant, thereby ensuring that the only demand unfulfilled till date from this vehicle has been adequately addressed. It gets its power from the same common-rail 1.5L K9K diesel engine that has been fitted to the Micra. However, the engine now offers a much better performance with maximum power of 85Bhp and peak torque 20.4kgm (the Micra engine offers 62Bhp and 16.4kgm respectively). With its increase in power completed by its lesser kerb weight, the Nissan Sunny diesel has all things going towards making it a solid performer. The engine has been blessed with good pulling power even at lower rpm’s (say 1000rpm). Spike in the power aspect that turbo-diesels have is not seen in this vehicle. But, the best performance of the motor is reserved below 3000rpm crossing which the engine gets a bit strained. Therefore, it is not logical to stretch this car to its peak level of 4,500rpm. This is reflected by the fact that when you overtake, you do not have to downshift as satisfying power is delivered at whatever rpm the vehicle is. The engine is a smooth operator and does not prick your ears at any throttle levels. All these factors considerably enhance your satisfaction levels. 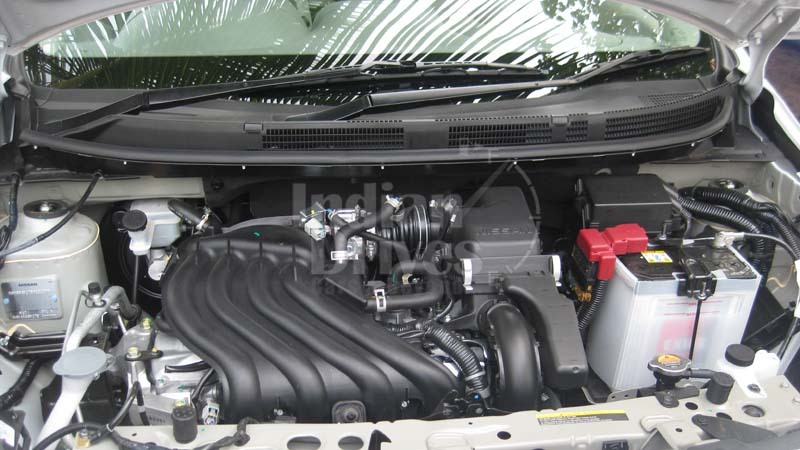 The suspension of the Nissan Sunny Diesel has been tweaked a bit, making it more capable of handling this heavy diesel motor. This has definitely changed the nature of its drive. The Sunny now runs in a more sorted manner and the suspension handles bad roads in a more efficient manner. Added softness to the rear has turned into a blessing for backseat passengers, who now enjoy greater comfort while riding. Some additional weight has been put on the steering, which increases driving confidence especially when speeding on the highways. 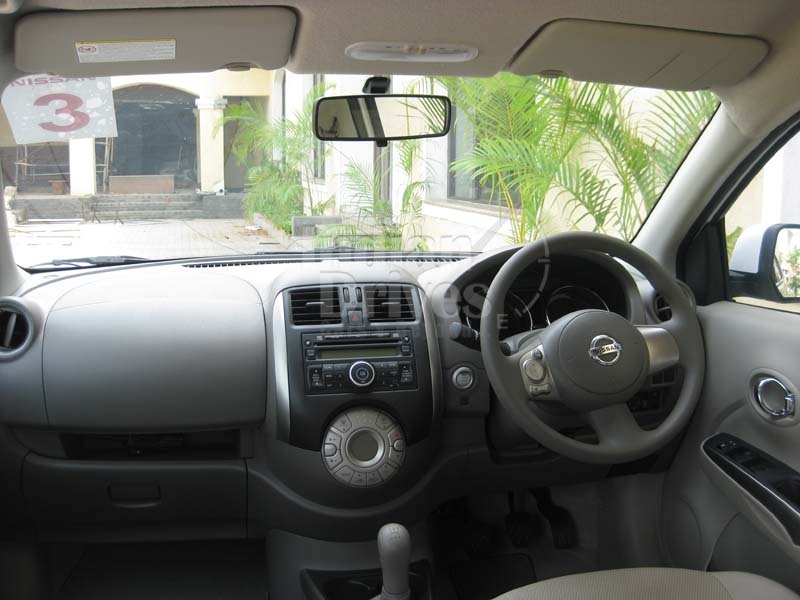 Some of the key assets that endeared the petrol variant of the Nissan Sunny to all have been retained in the diesel model. This includes the impressive legroom provided at its rear. Its dull but well-finished interior still remains along with its rear seats having lesser thigh support. All equipment offered in the petrol variant has been retained. 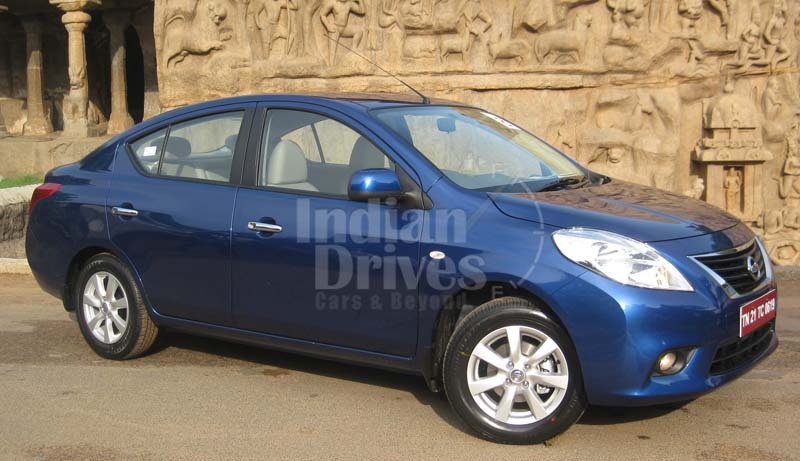 The Nissan Sunny Diesel has not been offered for its base variant – only the mid XL and its high end XV models get diesel variants. The XL diesel costs Rs.7.98 Lakh whereas the XV diesel is priced at Rs.8.78 Lakh.